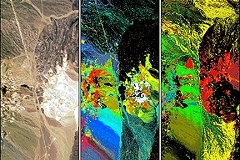 The PRISMA Earth observation satellite will provide hyperspectral images of Earth. Planetek also contributed to the Italian mission led by the Italian Space Agency (ASI). PRISMA (Hyperspectral Precursor of the Application Mission) is the most powerful hyperspectral satellite in the world, launched in the night between 21 and 22 March 2019 from Kourou, in French Guyana. PRISMA is considered a new success for the Italian industry, which follows the Cosmo-SkyMed constellation mission over 10 years ago. Equipped with the world's most powerful operational hyperspectral sensor, PRISMA is at least 24 times more powerful than any other instrument built so far. The current optical sensors mounted on the satellites are multispectral capable of exploiting at most a dozen infrared bands, while PRISMA distinguishes 240 (bands arranged from the visible to the near infrared and up to the shortwave infrared). Hyperspectral technology allows us to observe the Earth and its elements beyond what is visible to the human eye, recognizing not only the shapes of objects but also which chemical elements they contain. A great capacity that can be exploited in many application fields, such as agriculture, the fight against desertification, mitigation and emergency intervention after natural disasters, the identification of pollution factors in the land and in the sea, or in the study of complex phenomena such as the interactions between the atmosphere, biosphere and hydrosphere and the observation of changes in the environment and climate at the global level. PRISMA is a program funded by the Italian Space Agency (ASI) and represents a global excellence, which highlights the capabilities of Italy to provide a “turn-key” space system, from planning to implementation, from launching to ground data management. An excellence deriving from the scientific and industrial ability of Italy to work as a team. PRISMA was developed by a Temporary Joint Venture of companies, led by OHB Italia, responsible for the mission and management of the three main segments (ground, flight and launch) and Leonardo, which built the electro-optical hyperspectral instrumentation in addition to on-board equipment such as solar panels and power supply unit. The launch took place aboard the ESA’s launcher designed and conceived in Italy: VEGA produced by AVIO. Telespazio (Leonardo 67%, Thales 33%) set up the mission control center at Fucino Space Centre, while data acquisition and processing will take place at the ASI Matera Space Centre. Planetek was one of the companies involved in the PRISMA mission. Its role was to develop components for the management and processing of data acquired by the hyperspectral sensor. Giovanni Sylos Labini, CEO of Planetek Italia, points out that this mission opens up great opportunities for the future of Space. The hyperspectral data open new scenarios in numerous application fields, ranging from the study of the impact of global climate change, to the development of agriculture, to the study of soil and sea pollution and in general in the study of complex phenomena that foresee the interaction between atmosphere, biosphere and hydrosphere..